The greatest threat to the multipolar world’s economic relations with ASEAN comes directly from the TPP. The US is pushing this exclusionary trade arrangement in order to obstruct the existing trade partnerships that non-allied countries (Russia and China) plan on enhancing with each of the bloc’s members. In a sense, it can be thought of as a preemptive declaration of economic war because the US is taking proactive steps in carving out a restricted market that will fall under its primary control. Washington is keenly aware of Moscow’s envisioned Pivot to Asia and understands that it must be diversified past China in order to achieve its full economic potential, and regarding Beijing, the US recognizes how obstructive a disturbance in bilateral Chinese-ASEAN economic relations could be for the New Silk Road plans that it hopes to complete in the coming years. The US would like to use the economic hegemony that it would acquire over each of the TPP’s ASEAN members in order to bully them away from these multipolar centers and firmly entrench them in the unipolar camp, and there are concrete reasons that this strategic threat should be taken seriously. 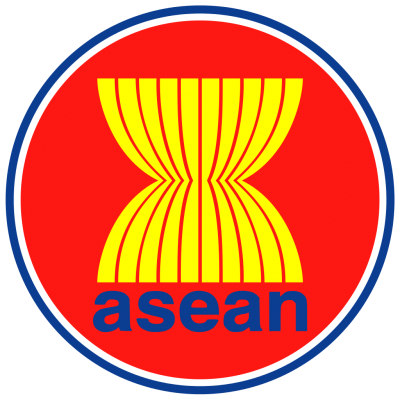 ASEAN reached an historic milestone during its 27th summit at the end of November 2015 in Kuala Lumpur, agreeing to form the ASEAN Economic Community (AEC) in order to coordinate the bloc’s economic relations with the outside world and strengthen social, cultural, and security cooperation among its members. 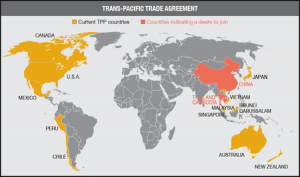 It’s expected that the AEC will seek to enact bloc-wide trade agreements from this point on, striving to eventually expand the TPP to include the rest of the organization with time. The reasoning for this is quite simple, and it’s that ASEAN would like to standardize the trade deals that its members have with outside countries and blocs so as not to create an internal structural imbalance between its economies. If Malaysia is in the TPP but Vietnam has a FTA with the Eurasian Union, the thinking goes, then that creates a disadvantage for the Philippines which doesn’t have institutionalized ties with either, for example, and the mishmash of various external actors interacting with ASEAN on a member-to-member basis instead of dealing with the entire group creates an unnecessarily complex intra-bloc situation that makes it all the more difficult for the AEC’s diverse members to economically integrate with one another. Thailand might be trying to publicly defer to the US for as long as possible in order to deflect some of the hostility that many in Washington harbor towards it ever since the multipolar coup ousted the pro-American leadership and the country largely reoriented towards China. It’s probable that Bangkok doesn’t sincerely intend to join the TPP, or at least at this point, because it would endanger the strategic partnership that it’s rapidly developed with Beijing over the past year and a half (and which will be addressed more in the research later), but the situation with Indonesia is a lot more straightforward. Unbeknownst to most observers, the West has been engaging in a mini-containment of sorts against the country in order to further pressure its leadership into making pro-unipolar decisions when the appropriate time comes. Widodo is already recognized as being Western-friendly as it is, but he’s still the steward of one of the largest economies in the world and has a tricky role to play in strategically hedging against China (as the Indonesian leadership sees it) while simultaneously preventing itself from falling under the US’ full supremacy as its latest proxy state. Regretfully, however, it looks as though Indonesia is about to use its economic leadership role over the AEC to misguide the rest of the organization into moving along the path of unipolar servitude. If Jakarta commits to the TPP, then it’s foreseeable that this will be the deciding factor in whether the rest of the AEC accepts the US’ disadvantageous trade offer at the expense of upgrading its ties with the Eurasian Union. In fact, the implementation of the TPP might even result in the eventual nullification of ASEAN’s FTA with China, thereby dealing a double-whammy to the multipolar world’s institutional influence in Southeast Asia. While scarcely any details are known about the TPP (the published text is around two million words in length and nearly impossible for a single individual to read through and totally comprehend on their own), it’s already been well-established that the “preferential” legal adjustments that it mandates each party abide by are nothing more than a smokescreen for major corporations to acquire decisive political rights. One of the controversies herein is that companies could sue national governments if the respective state enacts or enforces any “environmental, health or other regulatory objectives” that inhibit the said organization’s legally enshrined trade advantages or endanger its profits (it doesn’t even have to result in any actual decline, just the possible threat thereof). Recalling that Vietnam is already in a FTA with the Eurasian Union and all of ASEAN has a similar arrangement with China, it’s definitely possible that the US would find a pretext within each of these existing agreements to argue that they violate the TPP and must be rewritten or outright abandoned. If they fail to rectify the problem within the given period of time, then the US’ supportive companies will take each of the ‘violating’ states to court on Washington’s behalf to squeeze a punitive settlement out of them and/or force them to make the dictated changes. US-ally Japan may also direct some of its major companies to do the same as part of a coordinated push to maximize the ‘legal’-economic pain being inflicted on the targeted state. As extreme as such a scenario may sound at the moment, if perfectly correlates to the US’ strategic objectives of pushing multipolar Great Power influences out of Southeast Asia and hoarding the region’s economic potential all to itself. Doing so also has very specific geostrategic underpinnings that will be described in the next chapter, thus adding another layer of motivation for the US to move forward in this direction. As much as Washington wants to carry out this strategy, however, it doesn’t mean that it’s guaranteed to be successful, and there’s still the very real possibility that its plan could be stopped in its tracks before it ever has the chance to come to full fruition. The greatest obstacle to the US’ TPP-dominating dream for Southeast Asia is China’s ASEAN Silk Road, the high-speed rail line that’s expected to run from Kunming to Singapore and traverse through Laos, Thailand, Malaysia, and Singapore. The first two transit states have the most to gain from this proposal and are thus anticipated to remain the most ‘loyal’ in safeguarding China’s FTA with ASEAN in the event that the AEC ever tries to revise it (perhaps under a TPP-influenced Indonesian initiative). There’s also the China-Myanmar Pipeline Corridor that was launched in early 2015 to transfer Mideast oil and gas to Yunnan Province via a more thought-to-be geostrategically secure route than the Strait of Malacca (which is questionable and will be explained later in the work), with the envisioned potential of evolving into a full-scale trade corridor with time. This theoretically gives Naypyidaw a stake in preserving the institutional FTA status quo with China, although this could (and probably will) change with Suu Kyi’s increased role over the state. Cambodia is also a close Chinese ally nowadays, but it’s not institutionally tied to any major infrastructure projects, thereby meaning that it’s capable of being ‘bought off’ by the ‘highest bidder’ and isn’t fundamentally dependable. Therefore, the most reliable partners that China has to defend its economic interests in the AEC are Laos and Thailand. It’s predicted that these two states have already made the conscientious choice among their top leaderships to economically tie themselves closer with China through their participation in the ASEAN Silk Road project. For this reason, they have vested interests in making sure that their TPP-adhering AEC counterparts don’t enforce their unipolar trade terms on the rest of the bloc and/or compel the others to restrict their established economic ties with China (at the behest of the US, of course). An intra-organizational split could easily occur under these conditions, with the TPP-affiliated states facing off against the non-TPP ones as the AEC struggles to streamline its institutional economic engagements in its quest for greater coordination and integration among its members. The anticipated friction that this will produce would lead to a likely deadlock in implementing any institutionally revisionist (or expansionist, as per the TPP) policies within the AEC and prevent the US from achieving its full unipolar objectives in the theater. Consequently, due to Laos, Thailand, and to an extent, Myanmar’s highly strategic economic relations with China (the first two being party to the ASEAN Silk Road and the latter being host to the China-Myanmar Pipeline Corridor) that are standing in the way of the US’ full-spectrum unipolar dominance over ASEAN, all three of these states are ‘valid’ targets for a Hybrid War sometime in the future. The economic proxy war going on between the unipolar and multipolar camps over ASEAN is of immense significance in terms of its global impact, but in order to truly appreciate how it relates to the rest of the world, it’s essential for the reader to be reminded of certain elements of contemporary American grand strategy. The US capitalized off of the end of the Cold War by exporting its neo-liberal economic practices all across the world, with the ultimate intent being to entrap Russia, China, and to an extent that’s ever more relevant nowadays, Iran, in an institutional net of Washington-dominated control from which there’d be no escape. It’s taken some time to advance, but right now the US is steadily moving forward with great speed in tying the four corners of Eurasia into its matrix of control, de-facto encircling these three Great Powers and making them disproportionately dependent on a shared center of economic-strategic gravity. The TTIP, should it enter into force, would place the EU’s external economic relations under the control the US, thereby meaning that Brussels would be powerless to enter into any FTA or similarly privileged trading accord with other countries without the US’ explicit blessing. Moving along in a counterclockwise direction, the US and the GCC are working on intensifying their economic relations to the point of an eventual FTA. This isn’t too important right now because of the lopsided dependence that the Gulf economies have on energy sales, but eventually they’ll have to transition to a more ‘normal’ economy based on material trade, and at that point, their hefty financial reserves that they’ve been saving will go towards purchasing products from the US and any other country that it’s likely to be in a FTA with by that time. The next object of American focus is ASEAN, which has just been comprehensively described, and the final part of the supercontinental strategy is South Korea and Japan. The US already has a FTA with the former, and it’s planning to use TPP to enter into the same arrangement with the latter. Altogether, one can clearly see that most of the cardinal directions in Eurasia are covered by America’s FTA plans. To reexamine the US’ plans from this perspective, the EU represents Western Eurasia, the GCC is Southwest Eurasia, ASEAN is Southeast Eurasia, and South Korea and Japan are Northeast Eurasia. The only missing link is South Eurasia, mostly India, which is being wooed by the US anyhow as it is, although it’s still a far time away from entering into a FTA with the US. Nonetheless, if TTIP and TPP are allowed to enter into practice, then it’s only a matter of time before an irresistible offer is made to New Delhi in coaxing India into this unipolar economic web. Even without India’s formal incorporation into the US’ global neo-liberal scheme, it’s already been argued that it’ll most likely remain outside of GEFTA because of concerns for its strategic sovereignty vis-à-vis neighboring rival China. In that case, Russia, China, and Iran would then share the same economic-strategic space in Central Asia, one of the last parts of the supercontinent to remain outside of the US’ formal institutionalized control. This would make Central Asia the unquestionable center of multipolar gravity between these three Great Powers, but conversely, it would also make them disproportionately vulnerable to American-engineered Hybrid Wars there. In order to avoid a three-for-one ultra-dependency on Central Asia, it’s urgently imperative for the multipolar world to maintain and defend its inroads in the AEC, ergo the importance that goes into China’s counter-TPP efforts via the ASEAN Silk Road and the China-Myanmar Pipeline Corridor. 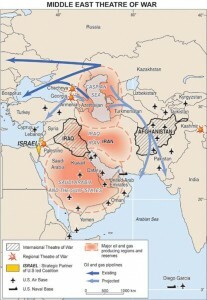 A retreat from these fronts and the cession of Southeast Asia to America’s unipolar clutches will create a strategically dangerous situation for China, and by extension, the rest of the multipolar Great Powers, and resultantly push up the US’ timetable for corralling their shared economic interests into Central Asia. China also has very clearly defined geostrategic interests in sustaining its influence in ASEAN (or at least in part of its mainland component) in order to halt the advancement of the US’ ‘Chinese Containment Coalition’ (CCC) and maintain non-American-controlled outlets to the Indian Ocean that allow it to safely access the burgeoning African markets on which its future growth depends.